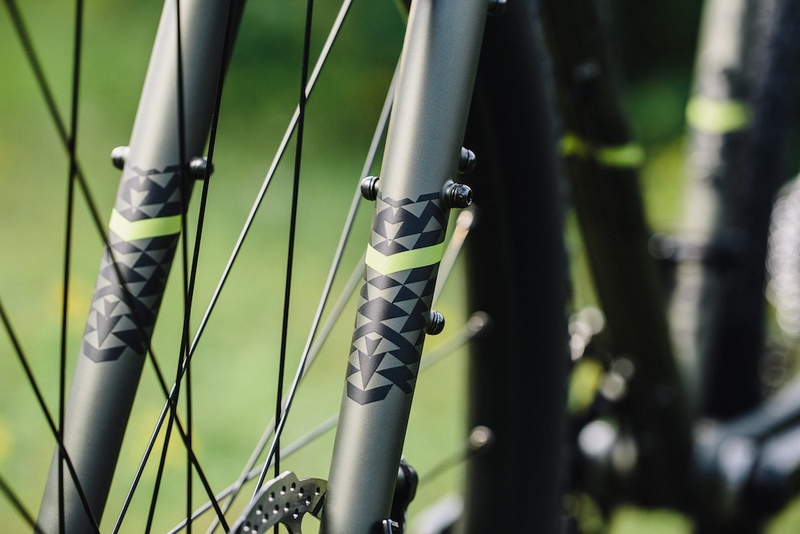 Bombtrack is a relatively new German company making some really progressive steel bikes. The Bombtrack Beyond was introduced last year as an adventure bike, and has received a few changes that make it stronger and cheaper than before. With the Beyond you’ll be able to tackle almost any road. The bike is defined by its steel frame and fork, wide mountain bike tyres, tall sitting position, flared handlebars and mountain bike parts. The bike is simple and sturdy. The Bombtrack Beyond is one of the most ‘upright’ touring bikes that you can buy; a short top tube combined with a tall head tube result in the handlebars higher than the seat in most cases. 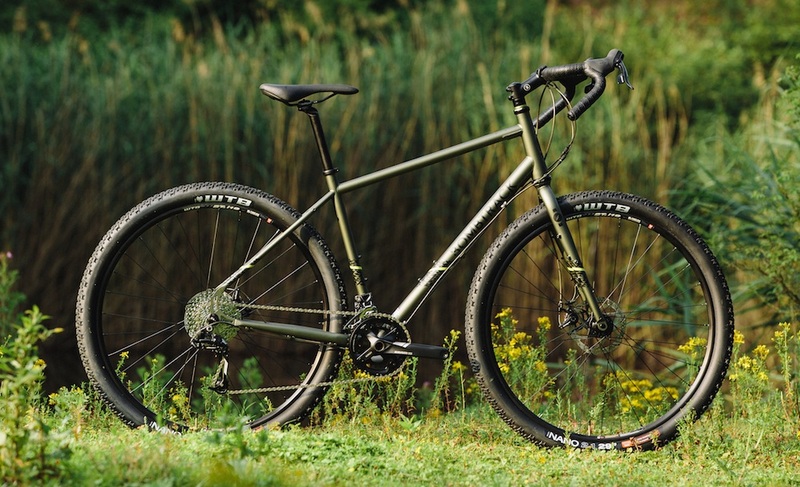 The steering speed of the Bombtrack Beyond is a little slower than most long-distance touring bikes (70mm trail), but is in-line with other off-road touring bikes. 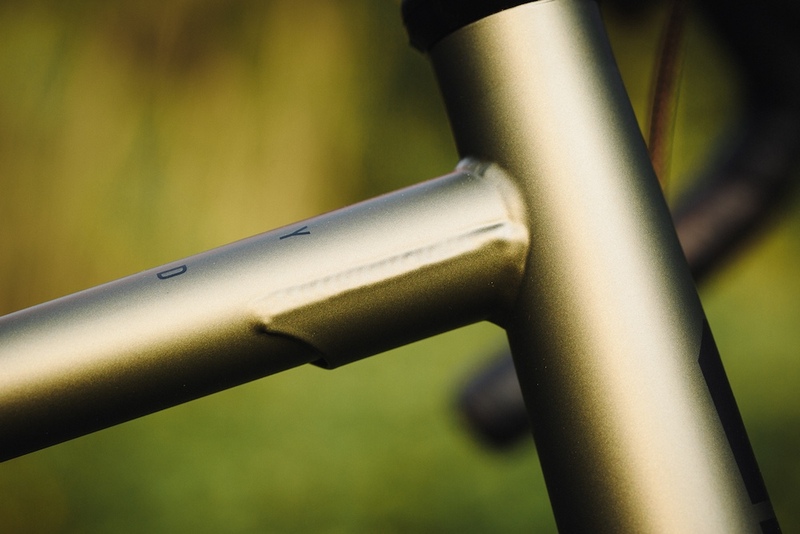 The chainstays are long (455mm), providing additional stability with a touring load. The 2017 Bombtrack Beyond frame now uses a gusset at the head tube. Other than colour, the main change to the Bombtrack Beyond frame this year is the addition of a gusset at the head tube. Gussets work by transferring stresses away from the head tube weld; I’m not sure whether Bombtrack experienced failures on last years bikes, or whether they’re just making their welds more bombproof. The frame and fork clearance of the 2017 Bombtrack Beyond is 29×2.2″. The Bombtrack frameset is designed to clear 29×2.3″ mountain bike tyres, but the bike comes stock with 29×2.1″ WTB Nano tyres that are pretty light and fast. The Beyond is ripe for long-distance touring! I’d recommend fitting my favourite mixed-terrain touring tyres, the Schwalbe Marathon Mondial to get more milage, a faster road speed and less flats. The 2017 Bombtrack Beyond fork is ready for low rider racks, 3-boss cages and more. Bombtrack has included lots of braze-ons on their fork – we’re talking mounts for low-rider touring racks, cargo cages and fenders. The only fork that has even more is found on the 2017 Surly Troll! There’s a front thru-axle on the 2017 Bombtrack Beyond. Up front, you’ll find a 15mm thru-axle. 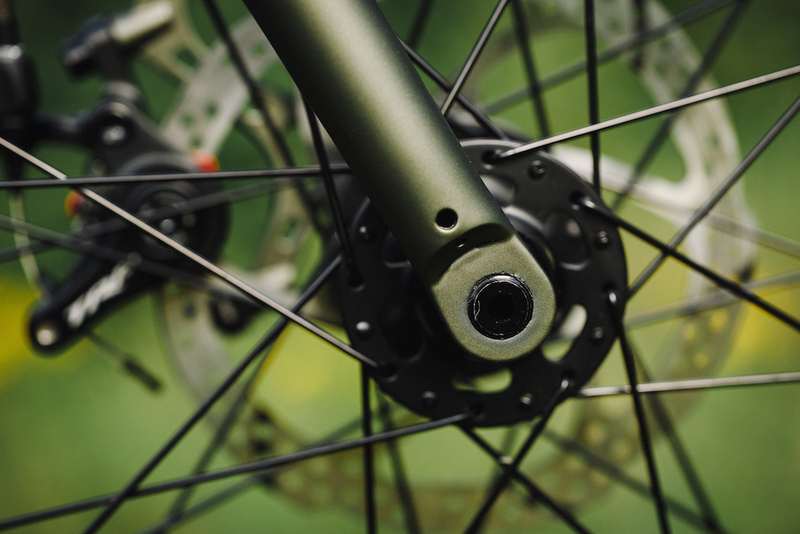 The benefit of the thru-axle system is additional fork stiffness, but it will also ensure your wheel is straight in the dropouts every time. Thru-axles are becoming the standard on disc road and mountain bikes, so it’s only natural for them to appear on touring bikes. 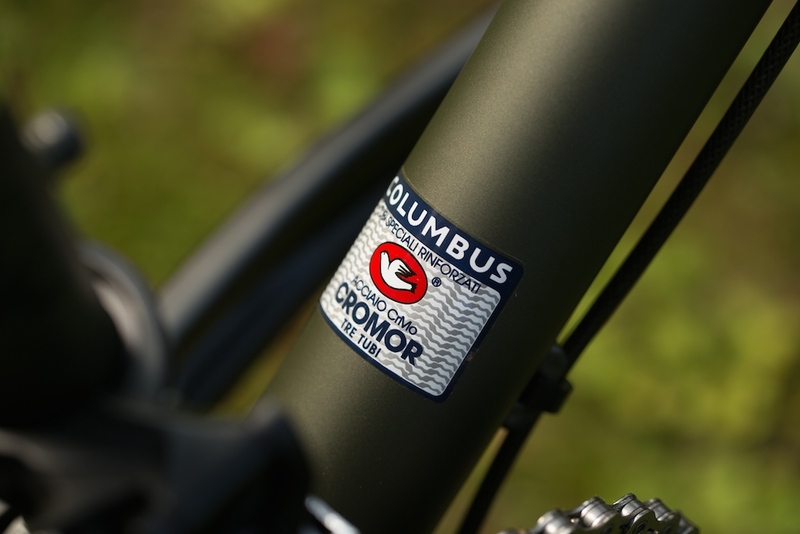 The 2017 Bombtrack Beyond uses Columbus Cromor steel tubing. 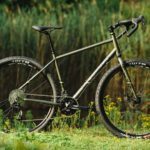 The Bombtrack Beyond uses double-butted Columbus Cromor steel tubing – this name brand tubing is essentially the same as the 4130 steel tubes you’ll find on most touring bikes. The downtube is oversized which offers increased stiffness when loaded with front and rear loads. 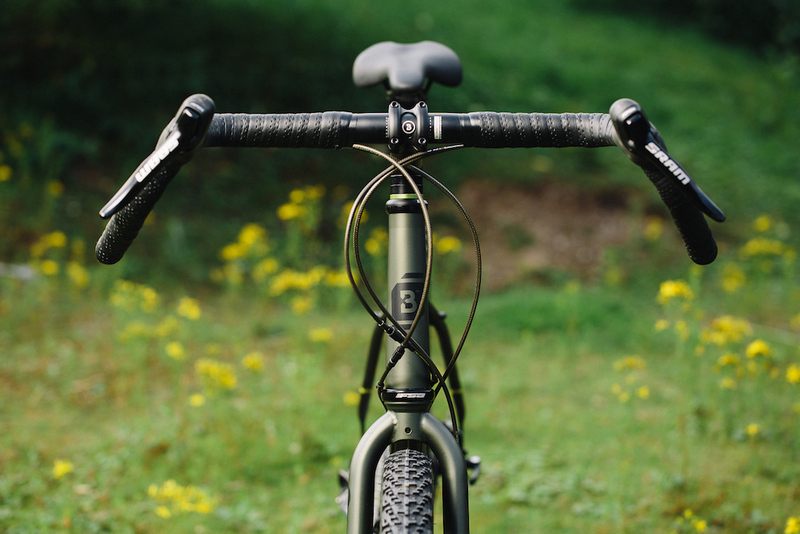 The 22 degree of flare on the Bombtrack Beyond’s handlebar provides additional leverage. Bombtrack make quite a few of their own components, including the seat, seatpost, hubs, bar tape, stem and handlebars. The handlebars are intended for off-road use with a short reach, shallow drop and 22 degree flare. In the ‘drops’ position you can expect more leverage than a regular road handlebar – making any direction changes easier with a front load. The mountain bike crankset on the 2017 Bombtrack Beyond offers great climbing gears. 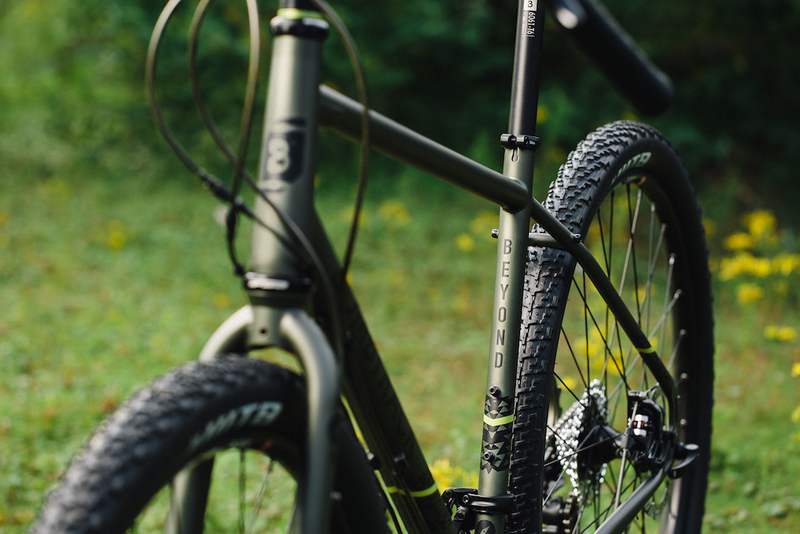 The Bombtrack Beyond is off-road ready in terms of drivetrain. 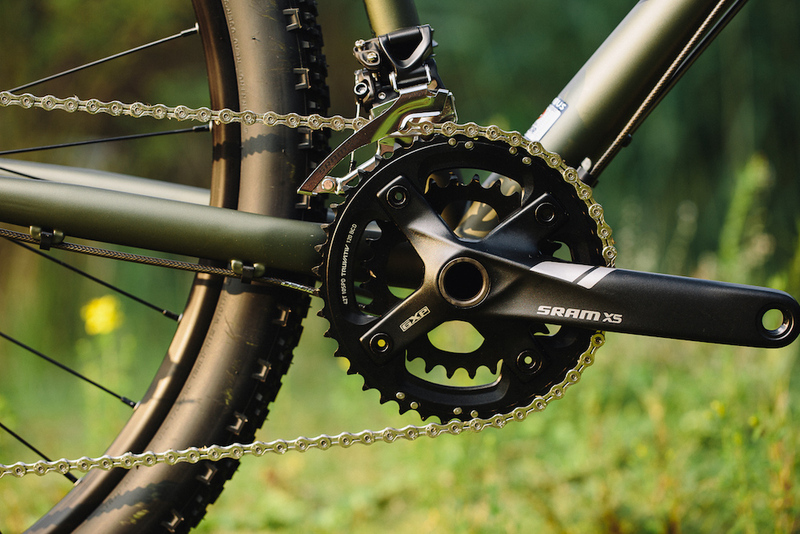 By mixing 10-speed SRAM road shifters with mountain bike chainrings and derailleurs, Bombtrack are able to get gear ratios down to 22 gear inches. This is ideal for touring with heavy loads, or climbing really steep dirt roads. The rear dropouts on the 2017 Bombtrack Beyond are really neat. 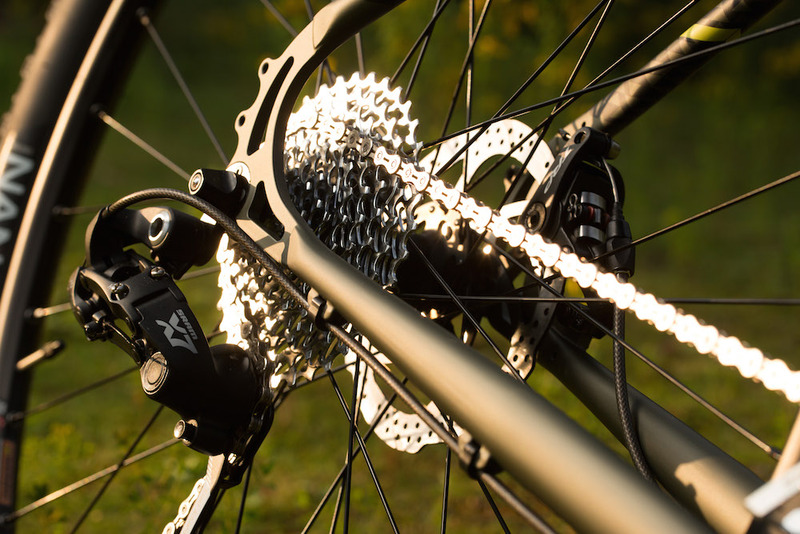 The SRAM X7 mountain bike rear derailleur uses a ‘clutch’ that when engaged will increase the spring tension of the derailleur. This reduces the ability of the chain to ‘slap’ on the chainstays, resulting in a quieter ride and less paint chips. The 2017 Bombtrack Beyond touring bike in all it’s glory. The main spec change for 2017 is the wheelset. The Bombtrack Beyond is now using WTB rims with their own sealed bearing hubs. The total build works out to be about 12.5kg (27.5lbs). The Bombtrack Beyond has received a price drop of US $200 to make the complete bike US $1789! 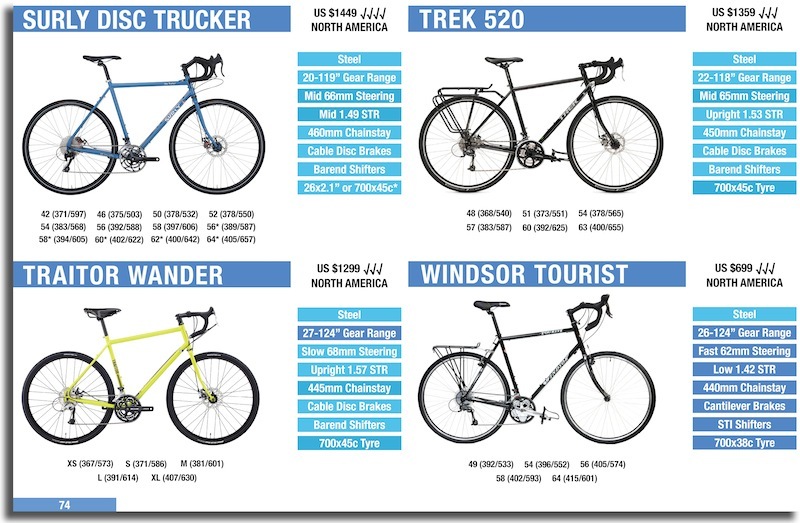 Want To Compare This Touring Bikes With Dozens of Others?